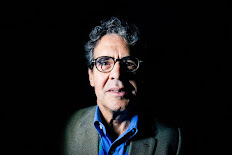 Leo Prieto:betting on "mobile first"
Leo Prieto is a digital media entrepreneur in Chile whose 10 communities attract an audience of 10 million users a month from all over the Spanish-speaking world. Late last year, his company, Betazeta, decided to go "mobile first" and optimize the design of all its sites for mobile devices. More than half their traffic comes from mobile. "Mobile phones are always with us," Prieto told me in an interview via Skype from his office in Santiago. "On the street, at home, we check them every two minutes, a hundred times a day." And now that social networks like Facebook and Twitter are getting as much as three-fourths of their traffic from mobile devices, digital media publishers can see growth in social traffic by optimizing for mobile. "It's a virtuous circle with the social networks and mobile devices," Prieto said. And the money is following social and mobile users. Advertising spending on mobile devices more than doubled in 2013, with most of that growth coming from Facebook. The data support Prieto's view of the symbiotic relationship between mobile and social and the related business opportunity. Betazeta finished 2013 with its highest traffic and most profitable months ever, in part driven by the new emphasis on mobile and social. The company has 30 employees and some 400 collaborators around the world. Its verticals cover technology, sports, food, gender and the environment, among other topics. Betazeta generates about 50 percent of its revenue from traditional web advertising, 40 percent from sponsorships and 10 percent from creating editorial content for brands to use on their own sites. The content is not a direct sales pitch but shows the audience useful information such as how to get the most out of a manufacturer's smartphone, how to strap a child into a car seat properly, how to recycle a company's product and so on. Prieto sees this trend, called "content marketing," as a growth opportunity for his business. 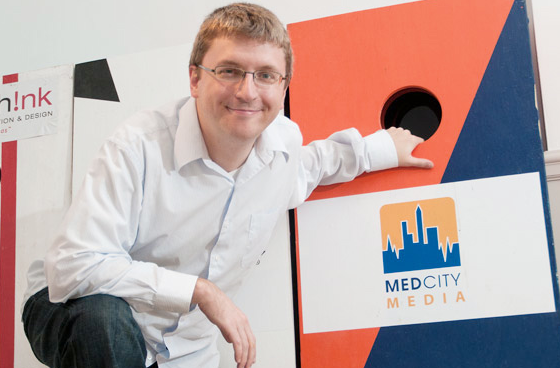 Another digital entrepreneur with his eye on mobile is Chris Seper of MedCity News, whose slogan is, "What's next in medical innovation." A third of his 400,000 monthly unique visitors come from mobile, "and we only see that growing," he told me in an interview via Skype from his office in Cleveland. MedCity's mobile traffic has grown in spite of the fact that it does not have a fancy mobile app. It merely uses a WordPress plug-in to optimize content for mobile users. An important group of clients for MedCity, pharmaceutical companies, can't fit their messages on the small screens of smartphones. Their ads for medications are required to have extensive disclaimers. So Seper is thinking of offering a distinct product only for mobile users, one that offers some "unique and immersive experiences," he said in an interview via Skype from his office in Cleveland. "We are constantly talking about what kind of mobile products we are going to create. I wouldn't be surprised if by the end of this year we have sold some very customized mobile-only engagement campaigns to our customers. If you have a mobile experience that's customized, the advertiser almost comes off as more edgy and unique." A media entrepreneur in Mexico is already benefiting from the social-mobile symbiosis. Mexican blogger Chumel Torres has made a business of his web program of political satire on YouTube. His YouTube channel has 483,000 subscribers and his programs attract more than 600,000 weekly visitors. He is a constant presence on Twitter. Chumel Torres, "El Pulso de la República"
I have seen the social-mobile symbiosis myself. A few weeks ago I posted to YouTube a 13-minute interview with Torres about how he launched his business. Comscore, the digital media measurement company, reports that Latin Americans spend twice as much time on social networks as the global average. Two websites that I have worked with are typical of the mobile trend: One in Venezuela that has been a hub of information during the political crisis received more than 1 million page views last month, with 54 percent of its traffic from mobile. A Central American football website registered 59 percent of its 99,000 visits last month from mobile devices. Both Seper of MedCity News and Prieto of Betazeta are moving away from traditional digital advertising as a major revenue source for their businesses. Among other reasons, the price they can charge continues to fall because of increasingly sophisticated ad-targeting software and automated ad buying. In addition, web titans like Google, Amazon, Microsoft, Apple and Facebook are gobbling up all this advertising. In Seper's case, a major source of revenue is MedCity events that bring together medical innovators and corporate sponsors, with ticket prices of up to $1,200 apiece. His group of 10 employees and dozens of contractors produces content for the website, editorial content for third parties and does contracted research -- white papers. Prieto is moving toward more sponsor relationships with brands as opposed to the highly cyclical business of selling impressions and clicks to digital advertisers. So, the digital audience is moving quickly to mobile devices. Social media are accelerating the trend. Advertisers are following. The growth is happening faster in Latin America. Does that sound like a business opportunity?